LOS ANGELES (AP) — Amid growing objections, the Los Angeles Unified School District has paused plans to paint over a campus mural of actress Ava Gardner that Koreatown activists contend resembles the Japanese imperial battle flag. School system administrator Eugene Hernandez says there’s need for “additional conversation” on the issue. The mural at the Robert F. Kennedy Schools Complex shows Gardner’s face against a background of sun rays. Artist Beau Stanton says it has no connection to the Japanese banner. 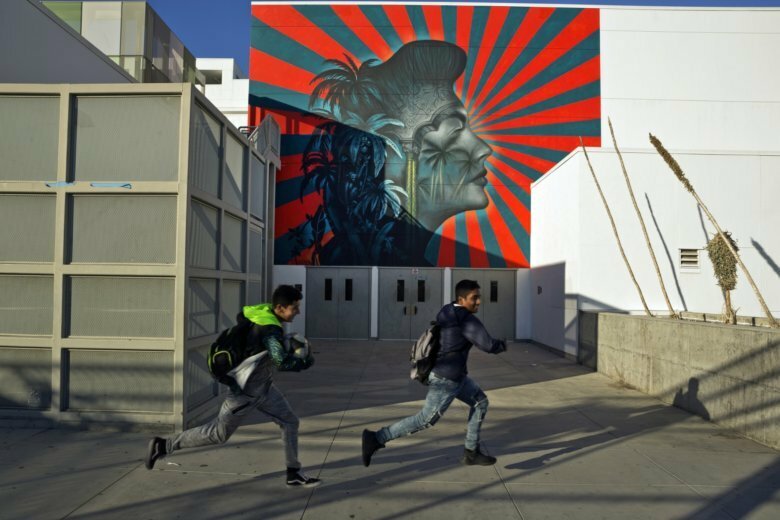 The district reconsidered Monday after the Los Angeles Times reported that artist Shepard Fairey would seek to paint over his mural of RFK at the school if Stanton’s work was covered. The campus is at the former site of the Ambassador Hotel, where Kennedy was assassinated in 1968. It’s in the Koreatown section of the city.